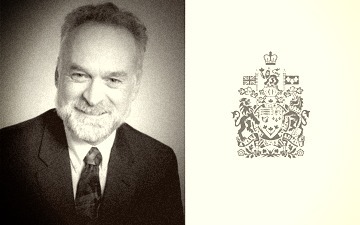 TORONTO, February 4, 2019 – Michael Ferguson, who persevered through initial opposition to his appointment as Canada’s 14th auditor general, died of cancer in Ottawa on Saturday. He was 60. The Canadian accountant was appointed auditor general in November 2011 by former prime minister Stephen Harper. His appointment was opposed at the time by the Liberal Party led by Bob Rae, who said Ferguson lacked “experience of a national scope,” and was unilingual in a traditionally bilingual position. In Ferguson’s first report as Canada’s auditor general, however, he revealed that the procurement process for 65 F-35 stealth fighters to be used by the RCAF had been plagued by irregularities, and that the Harper government likely knew prior to the 2011 federal election that the $16 billion price tag was closer to $46 billion. In a statement, Prime Minister Justin Trudeau praised Ferguson for a "lifetime of exemplary service to Canadians." Trudeau said Ferguson's "important work" as auditor general "will have a lasting impact on our country." In his last report as auditor general, Ferguson was scathing about the audit record of the Canada Revenue Agency, saying the CRA “treated taxpayers in similar situations in different ways,” essentially creating a double standard in how it deals with average Canadians. Ferguson was arguably the most powerful accountant in Canada, with the ability to influence the implementation of programs, and, at least through his scathing critique of CRA compliance, change the way Canadians are taxed. He was born and raised in New Brunswick, the son of Norma Ferguson and Doctor George Gordon, the founder of the New Brunswick Extra Mural Hospital. After graduating from the University of New Brunswick in 1980 with a bachelor of business administration, he earned his chartered accountant designation in 1984, and entered the civil service in 1985. Ferguson worked with the Canadian Comprehensive Audit Foundation to help build performance auditing capacity in the National Audit Office of Tanzania. He joined Canada’s Public Sector Accounting Board in 2005 and became New Brunswick’s provincial comptroller in 2000, before his appointment as provincial auditor general. Ferguson also served as president of New Brunswick Institute of Chartered Accountants from 2009-10 and was elected to the Fellowship (FCPA) of the New Brunswick Institute of Chartered Accountants in 2011. He is survived by his spouse, Georgina Ferguson, and sons, Malcolm and Geoffrey.